As a member of Plymouth LINK [Local Improvement Network –[Health and Social Care], Chris spent a number of years working to maintain and improve the patient experience with Health and Social Care providers across the City. Having had personal experience of Plymouth NHS Trust as an outpatient and carer Chris applied to join the Patient Council to work with the professionals to maintain and improve the patient, carer and family experience in what is the largest hospital in the South West. Following retirement after 41 years in the telecoms industry Chris became involved in championing the patient experience after joining Plymouth LINK. [Local Involvement Network for Health and Social Care]. He chaired the LINk for 5 years. Critical to that organisations success was the establishment of close associations with patient user groups and Health and Social Care Providers in the City. These partnerships enabled a number of notable service improvements to be achieved. He sat on the board of NHS Plymouth for four years as the patient representative, served as a lay member on Plymouth City’s Councils Health and Social Care, Overview and Scrutiny Panel and the city’s shadow Health and Wellbeing Board. He represented South West LINks on the National Healthwatch Advisory board, working with Politicians, Civil Servants from the Department of Health and CQC and other organisational representatives. This work involved developing a governance and operating model for Local Healthwatch and Healthwatch England. Chris has spent his first year working with other members of the patient council to mould and develop the council’s governance and activities. He has begun to understand the complexities of the Trust as an organisation and is developing an insight into the operational activities of the Trust. This coming year Chris has been asked to establish a relationship with the Emergency Department where he hopes to initially gain some understanding of their work and subsequently support the department from a patient perspective. During his career Chris developed a passion for customer care, always working to improve the customer experience. To help the hospital by giving honest feedback, improve the standard of care and patient experience so that it is uniformly good throughout the various departments of the hospital. I am a veterinary surgeon with over thirty years in practice so I have good medical and scientific understanding. I also work in a caring and health delivery profession, albeit for animals and their owners. I have spent quite a lot of the last two years receiving treatment from Derriford Hospital, for firstly an aneurysm in my left internal carotid artery at the level of the cavernous sinus, and then bilateral breast cancer. So I have had plenty of contact with the Neurology, Interventional Neuroradiology, Breast Care from the Primrose Unit and lastly Oncology. I am very grateful to Derriford for saving my life but I experienced a range of standards of care and communication ranging from excellent to very poor. It was after receiving a well handled response to a compliant, that I made contact with the Patient Experience team to resolve the issues. They were open and willing to talk and indeed asked me to consider being on the Patient Council. I liked the idea of being a patient advocate and also being given a chance to serve my community hospital that had done so much for me. I shall endeavour to gain an understanding of how our hospital runs, the challenges and problems it faces and how to do as much as possible with what funds are available. I shall challenge the Trust if I feel that the patient is being unreasonably treated and through sympathetic dialogue with staff, try and improve communication with, and education of patients so that they maximise their recovery and health management after hospital treatment. Breast Cancer services, especially post cancer care and ongoing support. Patient/professional communication getting good printed individual information about patient diagnosis and treatment. Having personal experience of being a patient at the hospital I felt I could be a 'critical friend' on behalf of others by being on the Patient Council. As a person with a neurological disorder resulting in a multiple disability and Hodgkin’s Lymphoma I have experience of being a patient across various departments as an inpatient and outpatient. I have been working as an Inspector for the Care Quality Commission for over three years inspecting hospitals in other parts of the country, GP Practices, residential and nursing homes and domiciliary care provision. My main role is interviewing patients to ascertain what is good in the service and areas for improvement. These experiences enable me to contribute to issues raised at Patient Council meetings as a 'critical friend' in order to enhance patient experiences. Undertaking interviews with inpatients to ascertain their views on; their care, cleanliness of the ward, quality and variety of meals. Then feeding back to the ward matrons. Internal inspections alongside other members, matrons and managers. Those responsible for service provision get a clear indication of where improvements need to be made. Working with matrons in a couple of clinical areas to be the voice of the patient. Equality, diversity and making reasonable adjustments within the hospital. I feel the Patient Council is a sounding board for patients and staff. It should be seen as a supportive group for both sections recognising good services and where improvements are required. Where issues can't be resolved locally the patient Council can be a conduit drawing it to the attention of Politicians, the Trust Board and Chief Executive. To carry on with my voluntary work at the hospital. I have been a First Aider for over 30 years and attended many health lectures. I have always had an interest in health matters because of various bouts of ill health that I have suffered. I have been involved with the hospital for about 15 years. I first started on the Cancer Partnership Group (which I am still on). When the Patient and Public Forums were formed I joined the hospital one eventually taking over as Chair. I then went on to join the replacement LINk and Healthwatch. In the hospital I have been on mnay groups; catering, transport, patient involvement and environment to name just a few. I am a qualified accountant and a member of Mensa. I was concerned that patients should have a voice in the management and administration of the Hospital and the Patient Council seemed an appropriate vehicle. Though a Hospital appointee, I intend to act independently and put forward the concerns and problems of patients as I have personally experienced them or, through the experience of others, know them to be. I am in my late seventies but remain active and alert. Half my professional life I spent in private industry and public service working in management services (grounded on seven years in ‘overalls’ ) and the latter half self-employed. I have dealt with Derriford Hospital and Plymouth Trust as a campaigner for dedicated Hospice Suites for over four years, the last two as a member of the Patients Council. The senior staff have been very open and receptive and I was delighted to be recently informed that the hospital is organising a dispersed suite of separate single rooms for specialised end of life care. I am particularly pleased to have been invited to attend regular meetings to be updated on progress. Currently, I am seeking information on the administrative structure in order to understand better how the hospital works. Too many of us are mystified by the machinery of large organisations and the more we know the more we, as patients, can engage. In my opinion, the Patients Council is at its best when questioning management representatives on issues of patient concern. It can act rather as the equivalent of a Parliamentary Committee with candid exchanges and profitable discussion. The Patients Council should not be simply an administrative instrument. We have something valuable here that needs thoughtful nurturing by the members and brave promotion by the hospital. Having led an investigative and ‘trouble shooting’ group for a Large Local Authority, I have a keen interest in good management and efficient administration. I am particularly interested in the relationship between staff and patients. Staff face many difficulties and pressures, but it is not easy being a patient either. I have previously worked as a senior manager in the University Library – University of Plymouth for 25 years. I retired 5 years ago and have worked voluntarily in patient engagement since joining the St Germans Quay Lane Surgery Patient Participation Group (PPG). I was elected chair of the East Cornwall Locality PPG Umbrella meeting, 3 years ago. This is a meeting of PPG representatives from all the 11 GP practices in East Cornwall and meets bimonthly to exchange views and to discuss local developments in health services. As Chair, I am also Patient representative on the East Locality meeting of the Kernow Clinical Commissioning Group (KCCG). I was also appointed onto the Patient Reference Group of the KCCG 2 years ago, which acts as the patient voice within KCCG. The Umbrella group has worked closely with the University of Plymouth on various research projects dealing with patient engagement generally and also on the Nursing degree programme. Being member of the Patient Council enables me to actively contribute to the development of the delivery of health and medical services in Derriford, by providing direct experience of how services are being delivered to patients in Cornwall. I will support the Trust by helping them to ensure that services are fully integrated with those delivered to patients in Cornwall. Discharge of patients back into their home and community. Supporting nursing and medical staff (and admin staff) in the difficult tasks that they have to undertake. To provide a two way system of communication between patient and provider that aligns the concerns of the former with the duties of the latter. I was a police officer with the Plymouth City Police, later the Devon and Cornwall Constabulary, retiring as a superintendent in 1995. I then became a travel journalist and photographer writing columns for numerous magazines. I am an avid golfer and long distance solo trekker having walked over 2200 miles and collected £25000 for charity. I am married to Ann and have a daughter and three grandchildren. I live on Dartmoor which both I and my two dogs appreciate. My aim on the Council will be to listen and provide objective input that seeks to improve the quality of care having regard to available resources and to identify and eliminate internal empires that operate as separate institutions without regard to the needs of all patients. Greater involvement in families in the care of patients through all stages from consultation to treatment to discharge and after care. To examine instances of Best Practice both home and abroad and their worth in our local hospital environment. Also, to ensure the message of healthy living is passed through to our children at an early age to ensure a healthier outlook for future generations. I have an enthusiastic attitude to get things done for the benefit of patients. They need to know someone is on their side pushing for improvements. A former Banker, Scott worked through a long period in the Insurance industry involved in sales, sales management, claims assessing and also compliance following the various Financial Services Acts and eventually ran his own brokerage company. He then became involved in personal development training and coaching being particularly interested in Stress Management. His current role as Director of The International Regulator of Coaching and Mentoring complements his belief in transparency and fairness in dealing with the buying public and commerce. He has extensive experience as a patient with Derriford Hospital in the past and recently. He is the organiser of The Plymouth Lymphoma Support Group, on the national advisory group with The Lymphoma Association, and a member of the Derriford Cancer Services Partnership Group, and a ‘Buddy’ with the Macmillan cancer service. He has also been contracted as an Expert by Experience working for the Care Quality Commission. 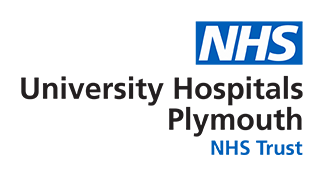 The NHS generally, and Plymouth Hospitals in particular have recognised the usefulness of patient input into many areas of hospital administration and policy. Having worked with the Cancer Partnership Group and Sarcoma support, I want to build on these initiatives. I was born in Torpoint, Cornwall. I returned here to live on retirement, having lived in Tavistock, London and Plymouth. I have worked in both teaching and computing. In 2009, I was diagnosed with Sarcoma, a rare type of cancer that develops in the supporting or connective tissues of the body. I met a great specialist surgeon at Derriford, who guided me through 3 operations, then handed me over to an Oncologist for radiotherapy. I was discharged in 2014. In 2015, after noticing a few unusual lumps on my upper body, I contacted the Sarcoma team again – and found that these were related to Non-Hodgkin Lymphoma. Having caught it early, and with the expertise of several other specialists, treatment is well under way, and I have every confidence of a positive outcome. I have been involved with the Cancer Partnership Group for several years – as a way of supporting the work of the Hospital, and have noticed many improvements during this time. I am also proud of the work the CPG has started with the Clinicians and Macmillan to introduce a Buddying scheme to help patients and carers. This provides a friendly ear and support as needed. It is less than a year since I joined the Council, but have already worked on PLACE assessments (looking at ward facilities from the patient/carer view), input to the new hospital website and offering a patient view of new initiatives such as the new Success Regime. I look forward to involvement with new initiatives as they evolve.